On 10 March 2018, nine civilians were shot to death and fifteen were wounded by the Ethiopian army in Moyale town, not far from Ethiopia’s border with Kenya. The government has responded that security forces acted upon a “mistaken intelligence report” and that the army was pursuing members of the Oromo Liberation Front, a UNPO Member. However, civilian testimonies argue that they have been shot at close range. This carnage terrified the civilians and is yet another concerning episode happening under Ethiopia’s recently re-imposed state of emergency, which has been used to suppress protest under martial law and has caused a number of civilian casualties. 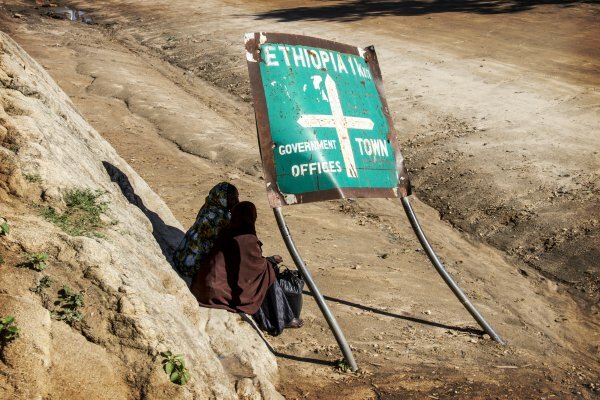 At least nine civilians were shot to death on Saturday March 10 by members of the Ethiopian army in Moyale town, 790 km south of Addis Abeba, on the border between Ethiopia and Kenya. More than fifteen were also wounded, four of them critically. Members of the army responsible for the killing were operating under the supervision of the command post established to oversee the current state of emergency. In a statement published on the state run EBC, the command post secretariat, led by defense minister Siraj Fegessa, said the killing happened when five members of the army acted based on a “mistaken intelligence report.” It also said the army was pursuing members of the banned Oromo Liberation Front (OLF), who “crossed in to the Ethiopian side.” The statement offered no details but said five members of the army were disarmed and are under investigations. Graphic pictures showing wrapped and unwrapped bodies of the victims were circulating on Ethiopian social media. Aschalew Yohannes, the Mayor of Moyale, told the regional state’s media OBN that he didn’t know what caused the problem and that investigations were underway. Without providing further details Addisu Arega, communication bureau head of the Oromia regional state, confirmed the killings in his Facebook post and offered offered his condolences. Ethiopia’s council of ministers have announced the current of state of emergency, the second in a year and half, one day after the unexpected resignation of Prime Minister Hailemariam Desalegn. However, the announcement came under heavy criticism both from Ethiopia’s key ally, the US, which stated its strong disagreement, and by local opposition party members, activists, academicians and international rights organizations. Although to a lesser extent than the US, the state of emergency has also drawn widespread criticism and reservations from many of Ethiopia’s traditional western allies including the EU, The UK, Germany, Norway and Sweden. Since then however there has been an uptick in civilian causalities and an increase in crackdown by the members of the command post against middle level bureaucrats within the Oromia regional state. Unknown numbers of individuals are detained so far including the chief administrator of east Hararghe zone, deputy administrator of east Wellega zone, the Mayor of Nekemt and head of the justice bureau of Kelem Wellega Woreda, as per this report. The controversial state of emergency was legislated by the national parliament on Friday March 02 but it faced unprecedented objection from the OPDO members of the parliament. Many consider the move as part of the federal government’s attempt to crackdown on the new leadership of the OPDO, a sign of the deepening fracture among Ethiopia’s ruling coalition, EPRDF. On March 07, Siraj Fegessa accused the Oromia-wide market boycott protests called by online activists to protest against the martial law as having a form of “color revolution” and an “attempt to seize state power” by those who are instigating the protests.